A quality vodka lightly infused with fresh black pepper. Black Pepper vodka is made using whole black peppercorns. Opening the bottle treats the nose to the rich, warm, aroma of a spice market. However, this vodka surprises because it is not spicy on the tongue, but subtle, smooth and almost sweet. Eminently "sip-able", it is easy to enjoy neat, with a dry tonic, or can be used to add a background bite to your favourite cocktails. 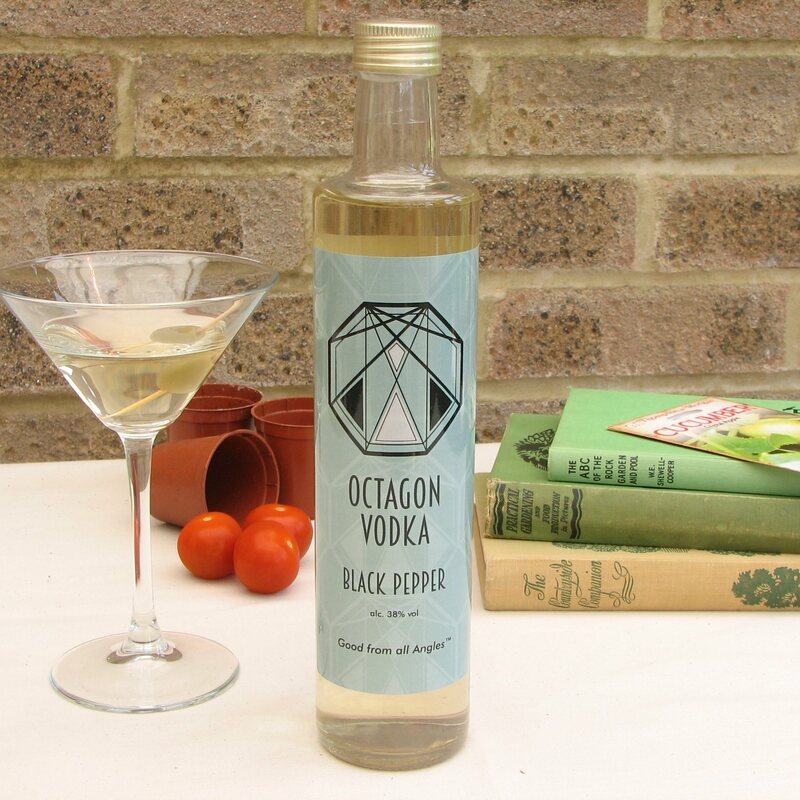 Quality British Vodka and whole black peppercorns.